According to estimates, we will see a 1.5-metre rise in ocean levels over the next 60 years; actual change may be of greater magnitude and occur much faster. Combined with storm surges – also forecast to increase in severity – this places our ports and associated transport, industry and tourism networks at significant risk, as well as many coastal towns and valuable waterfront developments. 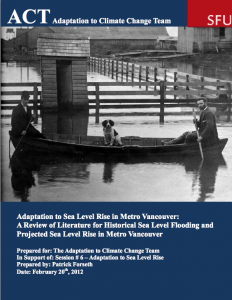 The ACT Sea Level Rise session will explore precedents from other countries and Canadian municipalities in order to develop recommendations for strategic infrastructure planning, generating an overview of what we do and don’t know, and policy options for the path ahead. 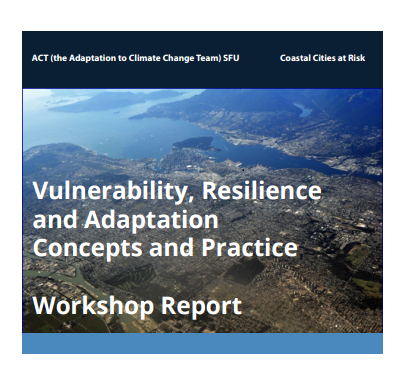 Beginning in Fall 2011, ACT will partner with the University of Western Ontario-led Coastal Cities at Risk (CCaR): Building Adaptive Capacity for Managing Climate Change in Coastal Megacities program as the coordinator for research in Vancouver, the major Canadian city featured in the program. CCaR is led by former ACT policy author Dr. Gordon McBean (Climate Change Adaptation and Extreme Weather), and partnering with universities in Lagos, Bangkok and Manila. The objective of the program is to develop the knowledge base and enhance the capacity of megacities to successfully adapt to and when necessary cope with risks posed by the effects of climate change, including sea level rise, in the context of urban growth and development. The cities were chosen to have a range of climate-weather, socio-cultural-economic characteristics; be representative of other cities; and provide enhanced research opportunities through ongoing efforts. The outputs will be new, integrated knowledge on climate change adaptation and disaster risk reduction strategies and their socio-economic-health implications; integrated, interdisciplinary simulation models to develop, test and validate knowledge-based adaptation actions; and increased numbers of highly-qualified people, both academic and practitioners, through knowledge mobilization and translation. 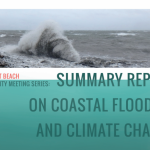 This work will complement ACT’s Sea Level Rise session and will be conducted in collaboration with BC’s Ministry of Environment and the City of Vancouver. 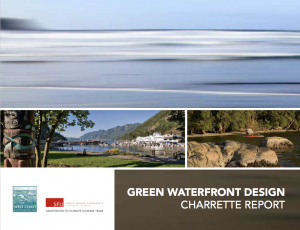 Project with Ideaspace, West Coast Environmental Law, and the City of Surrey. Published with the support of the International Development Research Centre through the International Research Initiative on Adaptation to Climate Change (IRIACC) program.